The eve-more waterproof phone than the Samsung Galaxy S5, the Galaxy S5 Active, will soon arrive in the hands of those wanting to showoff their friends how cool their phone is. Today a photo and a video of the device surfaced online showing the hardware of this water-resistant device. The photos and videos were leaked by Twitter user @PrePaidNerds and reported by PocketNow. 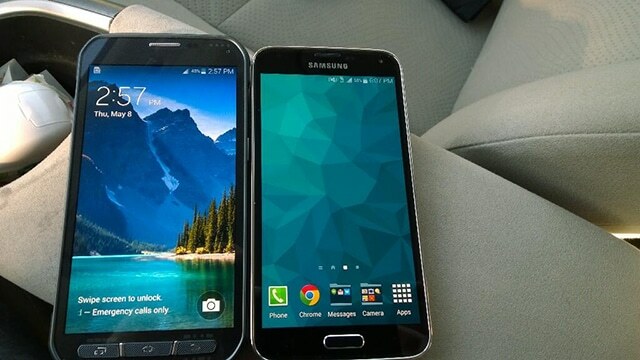 As you can see from the pictures, the Galaxy S5 Active has similar appearances as the Galaxy S4 Active. The three-front physical buttons are the same as the Galaxy S4 Active. The body also appears to be a rubberized after-market case. 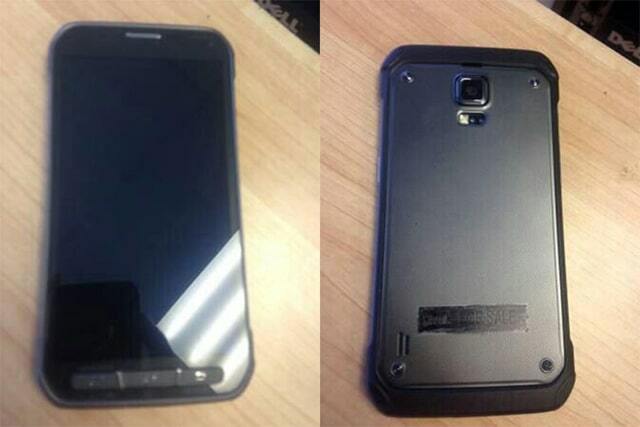 A photo of the device information shows that it comes with Android 4.4.2 and model number of Samsung-SM-G870A. As noted by PocketNow, this is a pre-production model and the final hardware might includes some changes.